After his wife dies, a comedian has to raise his 2 year old daughter by himself. 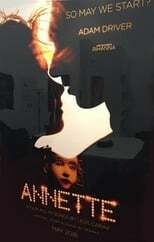 Annette is directed by Leos Carax and will premiere on TBA. Director Leos Carax's Romance & Drama movie Annette is produced by Arena Films & Kinology & was released .